New Orleans Schools’ 2017 District Grade: Big Flop. For a full decade following Hurricane Katrina (2005-2015), those pushing state takeover and the resulting conversion of all state-run New Orleans schools into charters have been quick to promote the marvels of their miracle. Twelve years later, in 2017, not so much, unless cornered for a sound byte. 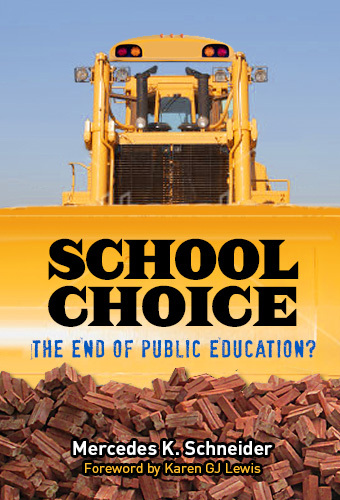 Market-based school choicers have increasingly less to work with regarding the NOLA Charter Miracle sales pitch. Consider the 2016-17 district performance scores. Those New Orleans state-takeover (now) charter schools are no longer separated from the Orleans Parish School Board (OPSB), so now those “failing schools” that the state supposedly miracle-whipped are now part of a single district (let’s call it NOLA), with one single district performance score resulting in one single district letter grade– and that single performance score and resulting letter grade really took a dive in 2016-17, from 85 B (sort of) to 70.9 C.
That is the wrong direction for a state-contrived, mostly-charter miracle. But there’s more: According to the Louisiana Department of Education (LDOE) 2017 file comparing 2016 and 2017 district scores, NOLA had an 85 B in 2016. However, according to LDOE’s 2016 file of district scores, NOLA had a 84.9 C.
Beginning in 2012-13, LDOE has played the game of combining its state-run, Recovery School District (RSD) scores with the remaining (and much higher-scoring) OPSB schools. The benefit of that combined result was that it helped mask the poor performance of the state-run RSD. By 2016, LDOE only offered the combined district score for all NOLA schools. However, by 2017, LDOE’s efforts to mask the failure of its state-run, convert-all-those-schools-to charters experiment had reached its limit; from 2016 to 2017, NOLA schools’ single district score/grade dropped over 14 points to that less-than-marketable 70.9 C.
In the previous years (2013 to 2015), OPSB’s score rose slightly and RSD’s score dropped slightly, which had the combined score appearing stationary at 83.4– a C.
In 2016, that combined score rose slightly to 84.9– still a C. And recall the 2013 score conversion that artificially boosted RSD from a D to a C. So, part of this OPSB-RSD (now NOLA) combined C for the years following 2013 has retained the inflation boost from the 2013 grading-scale conversion. Even so, it isn’t good press to report that the state took over most of New Orleans’ schools, converted all of the state-controlled schools into privately-managed charters, and managed to hover at a C and nothing higher even as the years continued to pass. It is even worse press to note that 12 years after that post-Katrina, state-yanking of schools, those schools have returned to OPSB (sort of– all-charter RSD schools are still under charter management orgs), and the entire district has fallen to a D in 2017, a year when most Louisiana districts either retained the letter grade they had in 2016 or even increased the letter grade from 2016 to 2017. The more the years pass since Katrina, the more obvious it becomes that state takeover of most of New Orleans’ public schools for the purposes of handing over those schools to convert them into charters operated by charter management orgs is a colossal bomb. …except that people keep writing about how awful that experiment is based upon the ed reform, ultimately-preferred measure for attacking traditional public school systems: student test scores crunched into school and district grading systems. In 2016, Arise Academy school performance score/letter grade was 43.4 F. In 2017, it rose slightly, but enough to cross a letter-grade threshold: 45.9 D.
The corporate reformers set the rules for grading schools based on test scores. These same reformers use those rules to damn community public schools and replace them with corporate-reformer-preferred, charter-management-operated schools. So don’t even think that charter school operators get to excuse themselves from living up to the very same test-score-centered system that birthed them. The Orleans Parish School Board is in a position to close charter schools that do not live up to their application hype and systematically restore community schools in New Orleans. Of course, such a decision is on the wrong side of the corporate reform purse that pumps funds into the election campaigns of those who would cement even a failing charter school presence in New Orleans. But for all of their attempts to purchase a charter school presence in Louisiana, billionaire market-based ed reformers cannot purchase Louisiana charter school success. As for Louisiana’s most vocal charter-pushing voices, well, most of the helium has leaked out of the balloon called These Schools Were Really Failing Pre-Katrina, and it is eerily floating only a few feet above the floor in a room in which the NOLA Miracle party came to an awkward end. Great reporting again. No miracle in New Orleans, but the propaganda is still out there. 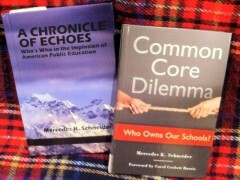 Excellent digging into the lies and deceptions of the edudeformer crowd. The slowly leaking ballon is how the reformistas want this to go as they try to slink away, à la Leslie Jacobs. Popping the balloon might startle folks awake. Did the score drop from 85 to 70 because of RSD OR BECAUSE OF OPSB? Ok, I see from your chart that the very low scores came from RSD. Why did anyone boast about score of 70? Why no one pays attention to RSD charters in Baton Rouge? F.